I don't need much arm twisting to be talked into hosting any kind of social gathering. I enjoy everyday cooking for my family but there's just something fun about putting together an awesome spread for a group of friends and welcoming them into my home. Entertaining is a lot of work but I enjoy the challenge and sense of accomplishment that comes with planning and executing a great party. Planning a football party is a little different. With football season getting ready to kick off and a football-loving husband, homegating is definitely in our immediate future. We live nowhere near a city with an NFL team, so our version of tailgating happens in our living room. I know all about how to prep for a football party by getting things “not quite right” the first time we had a large group of people over to watch the game. I'm sharing my lessons learned to help you prepare for a great football party this fall in a way that will allow you to relax, optimize your time enjoying your guests and be there for the moments that matter on game day. Georgia-Pacific, and Dollar General will help you stock up on the hosting essentials you need to cut down on cleanup time and avoid a last-minute run to the store. Follow these tips and your party prep will be fumble free! Click to pin to your favorite Pinterest board! Obviously you'll want to make sure your bathrooms are cleaned and ready for company and move that pile of (hopefully) clean laundry off the couch but before the football party isn't the time for a deep scrub. Your guests are going to be stationed around the television in your living room or family room and maybe outside around the grill during halftime or before and after the big game. Focus on decluttering those areas as best you can. You're going to have a ton of post-party cleanup to do, so put minimal effort into pregame cleaning. You want to make sure your home is presentable and that your guests are comfortable but they're not there to admire your housekeeping or decorating skills…because football. I learned this one the hard way. The first time we hosted a football gathering at our house, I spent all my prep time focusing on making amazing “homegate” snacks and perfecting my tablescape. I wanted everything to look and taste perfect. Nothing wrong with that, but I overlooked stocking up on a few essential items you need to have in your home before a crowd of people come over to watch football. I scrubbed my guest bathroom until it was pristine but I failed to stock the bathroom with toilet paper. We had plenty of extra toilet paper in the house (thank goodness!) but I keep my stockpile in the master bathroom closet and someone actually had to ask me for toilet paper. Thankfully, I was able to deliver, but it's awkward to have to stick your head out of the bathroom door and holler to someone you don't know very well to bring you an extra roll. Awkward. Before our most recent football party, I went to Dollar General Store and stocked up on Angel Soft® Bath Tissue. This is just something you cannot have too much of. 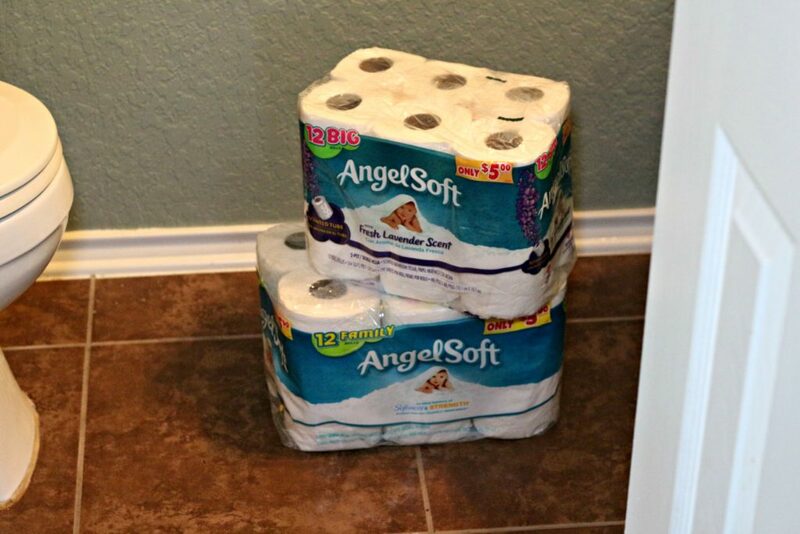 We grabbed a couple of the Angel Soft® Bath Tissue, 12 Family Roll, so I knew there wasn't going to be anyone left in the lurch in our bathroom or any awkward toilet paper retrieving moments the hostess! 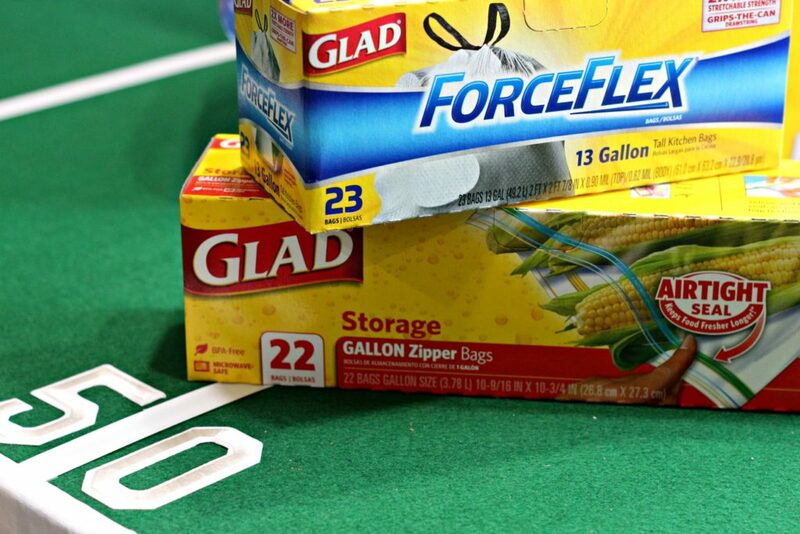 Buy extra Glad® Trash Bags and keep them accessible. You'll be accumulating a lot more garbage than normal during your football party, so make sure you've got the trash bags nearby to keep the mess to a minimum. 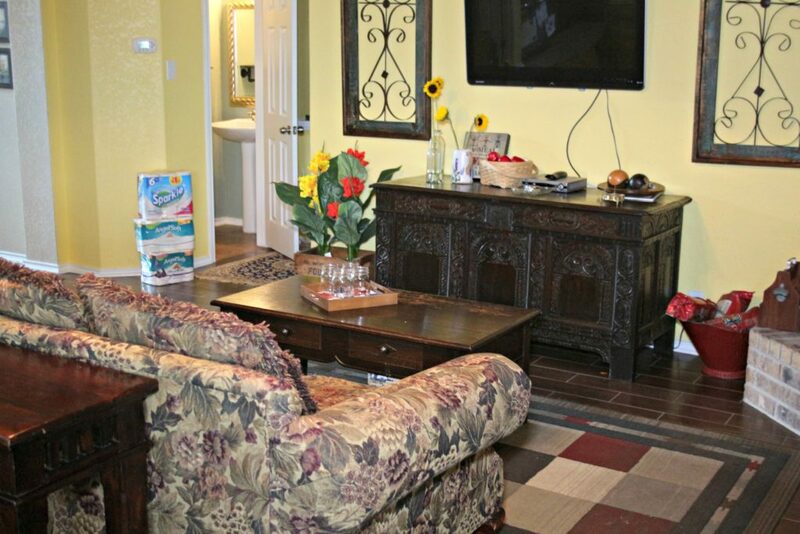 Even better, have a couple of extra, dedicated trash cans to keep your party area as clutter-free as you can. If you're grilling, make sure you have extra Kingsford® Charcoal on hand and also stock up on Sparkle® Paper Towels to wipe up those inevitable messes. 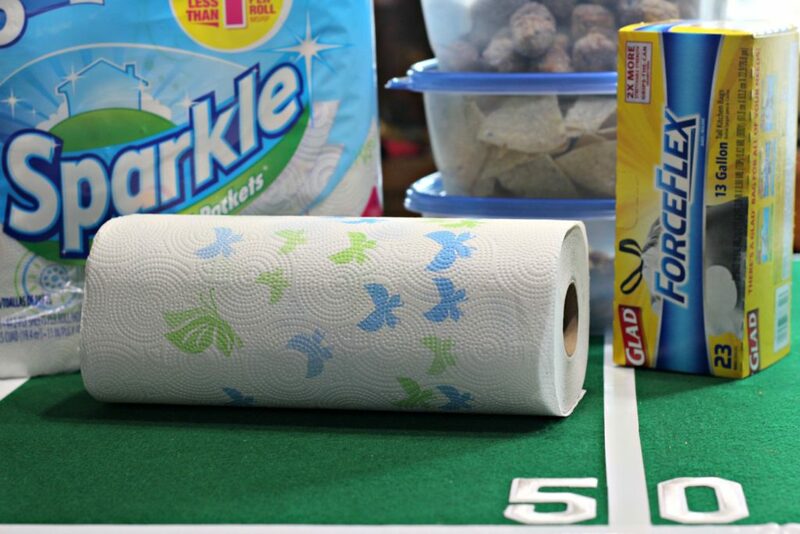 We grabbed the Sparkle® Paper Towels, 6 Roll at Dollar General Store to ensure we were armed and ready for any messes that came our way on game day. These also performed double duty as napkins. Hey, it's a football party! We aren't fancy over here! I know how to cook for a family of four and a small army: there is no in between. When I'm having guests over, I operate under the “more is more” philosophy. I don't want anyone to go hungry at one of our parties and I'm so afraid of running out of food that I overcompensate. Also, someone always brings a dish to share that I wasn't anticipating, which is a good problem to have. I don't think I've ever had a party where the food has been skimpy, so I'm not sure why I'm so paranoid about not having enough. Food storage is one of the things I overlooked when I was planning our most recent football party. My husband invited his coworkers over for the fantasy football draft pick, so naturally, I saw that as my chance to whip up a giant batch of meatballs and make some other appetizers I've been wanting to try. At the end of the party, we had a ton of leftovers and guests who were willing to take some goodies home with them, but guess what? 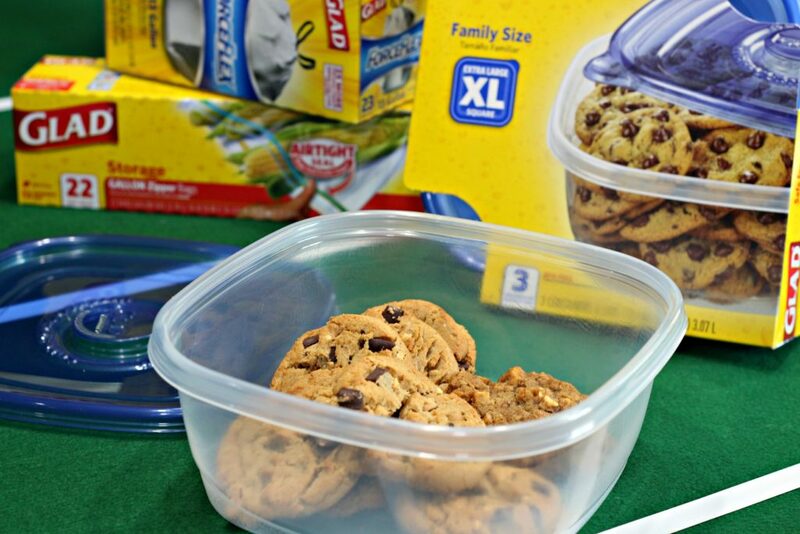 I hadn't thought to stock up on food storage containers and I had to scramble to find things to use. 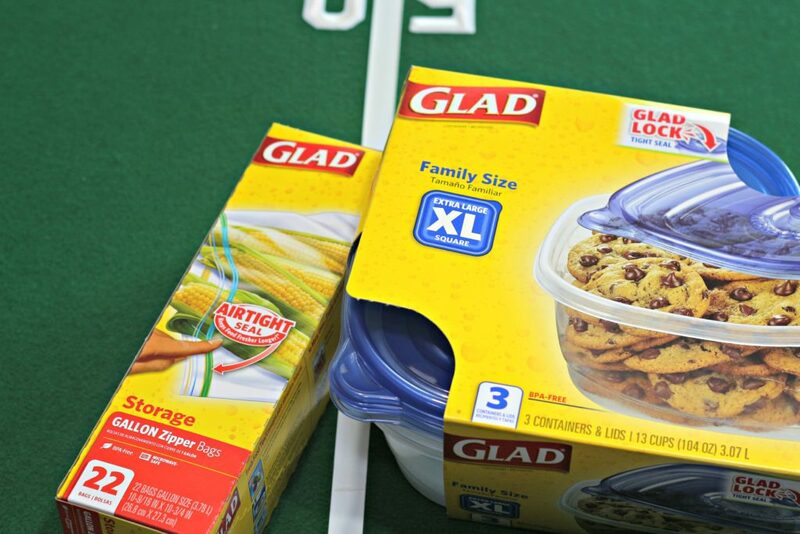 I went out and stocked up on Glad® Food Storage at Dollar General Store and now we're all set for the next big game day! If you want to stock up and save some money (who am I kidding, of course you do, right?) 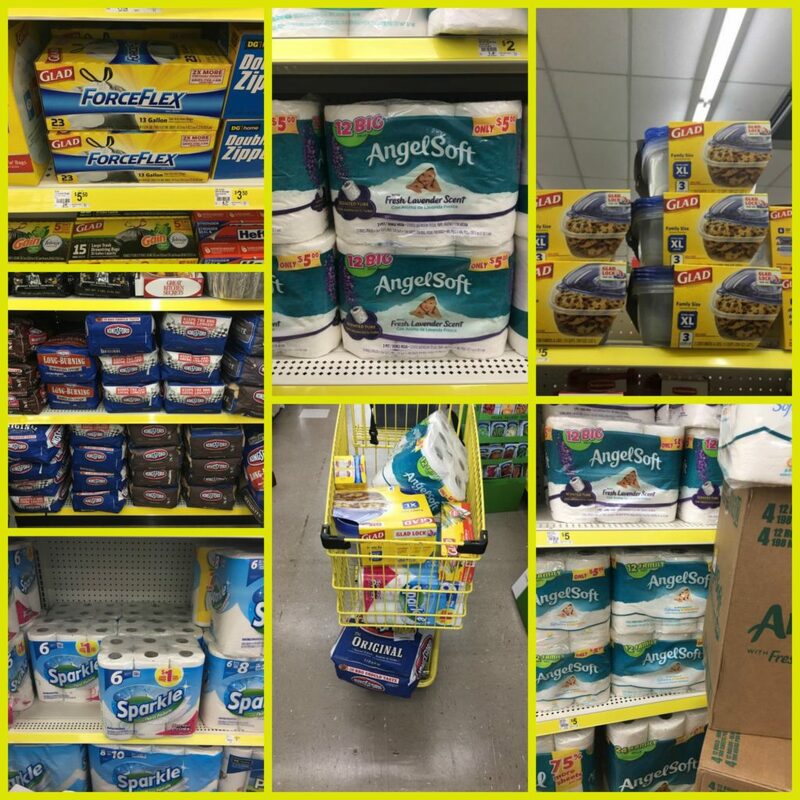 check out the Buy 3, Save $3 offer happening at Dollar General Store. Buy 3 participating items, Save $3 at Dollar General,valid 9/24/17-10/21/17. This is your chance to make sure you don't run out of essentials at your next party! Participating items include Angel Soft® 12 Family Roll, Angel Soft® with Fresh Lavender Scent 12 Big Roll, Sparkle® 6 Roll, Kingsford® Charcoal, Glad® Food Storage and Glad® Trash. Excludes $1 value Angel Soft® and Glad® items. To find a Dollar General Store near you, go HERE. If your party is kid-friendly, make sure you have a plan for kids who are too young to sit and watch the game. I have two seven-year-olds and they can be quiet and focus on the game on television for five minutes, tops. After that, they'll bounce on the furniture, beebop around in front of the television and ask questions that adults who are into the game probably don't want to answer. When we have people over to watch football, I make sure our younger guests have something to do to keep them entertained. That might be movies in another part of the house or some fun outside games. 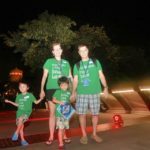 If you've got a lot of kids, consider having a dedicated babysitter to keep track of the kids. This is a great job for a teen or pre-teen. When it comes to food for a football party, the two words to live by are simple and plentiful. I have a tendency to get overly ambitious because I love any excuse to create a new recipe but simple, hearty dishes like chili, meatballs, and a sandwich tray are the best for these kinds of gatherings. If you need to put something sweet on the table, old favorites like chocolate chip cookies or brownies are always a hit. And, of course, don't forget the chips and dip! Our signature dish for any party or tailgating situation is our onion appetizers. They look a little bit fancy but they require almost zero effort and they're such a fun complement to chili and sandwiches. Keep everything simple, stock up, enjoy your company and cheering for your team.